WebMD Health Corp., the leading source of health information, has announced that Anthony Anderson; Cameron Diaz and Sandra Bark; Padma Lakshmi; and Seth Rogen and Lauren Miller Rogen have been nominated for the 2016 WebMD Health Hero People’s Choice Award, with the winner being determined by popular vote. The annual WebMD Health Hero Awards recognizes individuals who encourage health and wellness by motivating, empowering, and inspiring others in meaningful ways. WebMD is encouraging the public to vote to determine this year’s winner of the WebMD Health Hero People’s Choice Award. People can click here to vote for their choice once a day, every day through July 15. Most actors on hit TV shows don’t get to work real-life details into their characters. 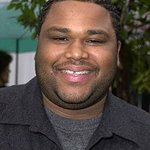 But Anthony Anderson does. Like Dre Johnson, the ad exec he plays on ABC’s Black-ish, Anderson has type 2 diabetes. He was diagnosed 14 years ago and over time has lost nearly 50 pounds – and kept it off. He makes it a point to work lighthearted health messages into the show’s script – reaching millions of viewers. “I’m excited to be able to talk about these things that have affected my life, my family and my community,” Anderson told Parade magazine. It’s a natural outgrowth of another role he took on 6 years ago, when he joined forces with pharmaceutical giant Eli Lilly & Co. as a spokesman for FACE Diabetes, which stands for Fearless African-Americans Connected and Empowered. Anderson traveled the nation, telling inner-city kids how to prevent and control diabetes. It’s an important message, he says, because every African-American child born today has an almost 50% chance of being diagnosed with diabetes before they turn 20. “I’m an African-American man who’s in a position to say something, so I’m going to speak to my community about that,” he told Diabetes Health magazine. To vote for Anthony, click here. To vote for Cameron and Sandra, click here. "Take ownership of your own body." That’s the advice Padma Lakshmi has for the 5.5 million women in the U.S. who, like her, have endometriosis. But she’s doing more than just talking. The model and host of TV’s Top Chef co-founded the Endometriosis Foundation of America (EFA) in 2009. The group raises awareness, helps with surgical training for doctors and advocates for women who have the painful condition, in which tissue that lines your uterus grows outside of it. It also funds research through the ROSE (Research OutSmarts Endometriosis) project at the Feinstein Institute for Medical Research and at MIT’s Center for Gynepathology Research. EFA’s ENPOWR Project, which stands for Endometriosis: Promoting Outreach and Wide Recognition, is a community-based effort to teach teens in New York about the condition. She’s also an ambassador for Keep A Child Alive, which works to end AIDS and provide care to families and orphans affected by it worldwide. In that role, Lakshmi joined the recent DaretoBear campaign to fight childhood sexual abuse. It remains an issue that is constantly overlooked, says Lakshmi, who details her own abuse in her recent memoir, Love, Loss and What We Ate. To vote for Padma, click here. Actor and comedian Seth Rogen and his wife, Lauren Miller Rogen, have found a unique way to fight Alzheimer’s — a condition that isn’t usually a laughing matter. The couple knows its effects firsthand: Lauren’s mother, Adele, was diagnosed with early-onset Alzheimer’s at 55. The actress and comedienne also lost two grandparents to the disease. As a way to raise awareness among millennials — along with money for research and care — the pair decided to do what they do best: make people laugh. The result is Hilarity for Charity. 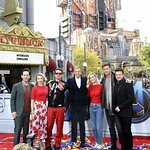 The variety show, now an annual fundraiser held in Los Angeles, has drawn support from the likes of Paul Rudd, Bruno Mars, The Backstreet Boys, and Samuel L. Jackson, among others. Since the organization’s founding in 2012, the events have raised more than $5 million. In 2014, the Rogens launched HFC U to encourage college groups to host their own versions. “I want young people to know that Alzheimer’s isn’t something to worry about just when you get old,” Rogen says in his Hilarity for Charity bio. “And that we can tell a few jokes along the way to finding a cure.” The duo are also Celebrity Champions for the Alzheimer's Association. To vote for Seth and Lauren, click here. Over the past decade, WebMD has recognized many individuals who are changing the healthcare landscape. Last year’s WebMD People’s Choice winner, Glenn Close, was recognized for her work to dispel myths around mental illness, a cause that has a very personal meaning to her. Close’s sister Jessie was diagnosed with bipolar disorder at age 51, and her nephew Calen lives with schizoaffective disorder. In addition to honoring a People’s Choice Award winner, WebMD will also recognize winners in the following categories: Advocate, Prodigy, Scientist, and Hall of Fame. This year’s winners will be announced in October and will be featured online and within the November/December issue (print and tablet) of WebMD Magazine. To learn more about the WebMD Health Hero Awards, click here.